You all know I love new gym wear, so I’ve got a haul of some of my favourite pieces from the new Pink Soda Sport collection. The collection as always varies from a range of sports bras, to sports leggings, joggers and even hoodies and tank tops. You’ve got so much choice and can mix and match products to suit you and the colours you prefer. Pink Soda Sport Space Dye 1/2 Zip Hoodie – I’m in love with the whole texture of these products the space dye and grey adds something different instead of it being a block colour. The hoodie fits so nicely as it’s not too fitted and is baggy to allow you to have room to move and be comfortable when exercising. It’s great for this time of A/W as its getting colder and you need something to keep you warm but not too warm. Pink Soda Sport Space Dye Lifestyle Leggings – Pink soda sport do the best fitting gym leggings. You just cannot go wrong. I love these as they’re high waisted which you know I’m obsessed with. They fit perfectly on my slightly short legs and are super comfy which is most important. As well as them not being see through – I mean can you get any better? 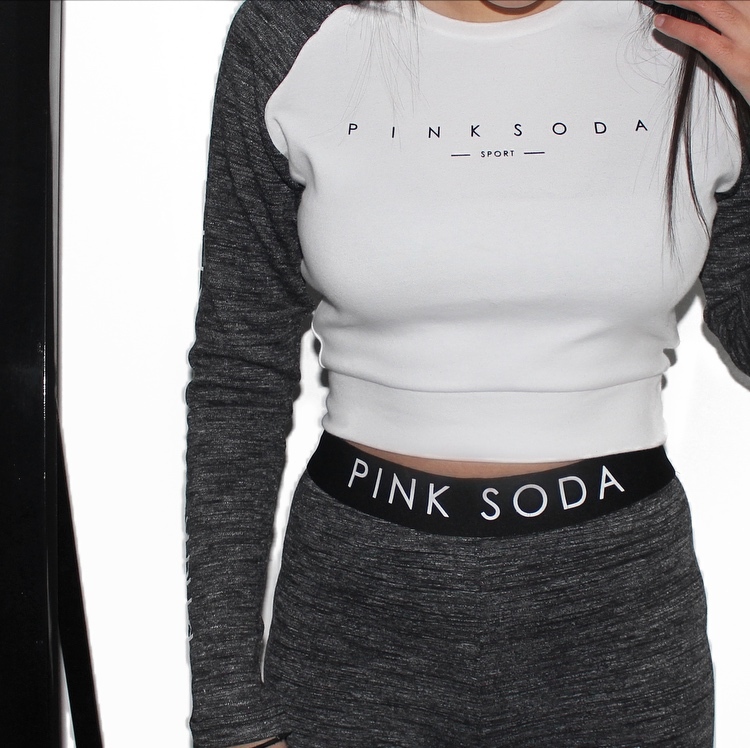 Pink Soda Sport Space Dye Long Sleeve T-Shirt – This tee is super cute, the contrast of the white with the grey looks so good aesthetically and the fitting of this top is perfect and is true to size which I was a bit afraid of so just get the size you’d normally get. It’s perfect to work out in if you don’t want a tank top this is made for you! 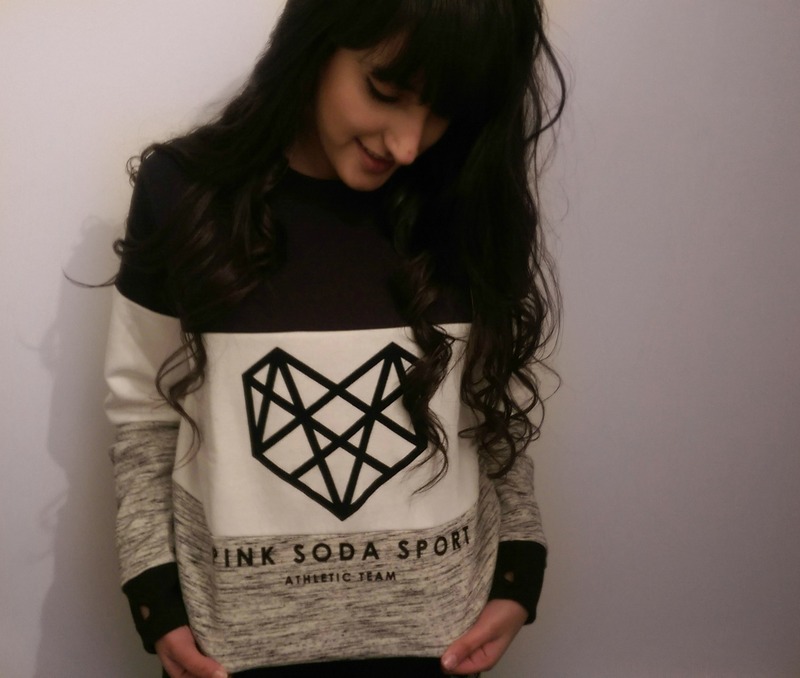 What is your favourite item from the new Pink Soda Sport Collection? Comment below. 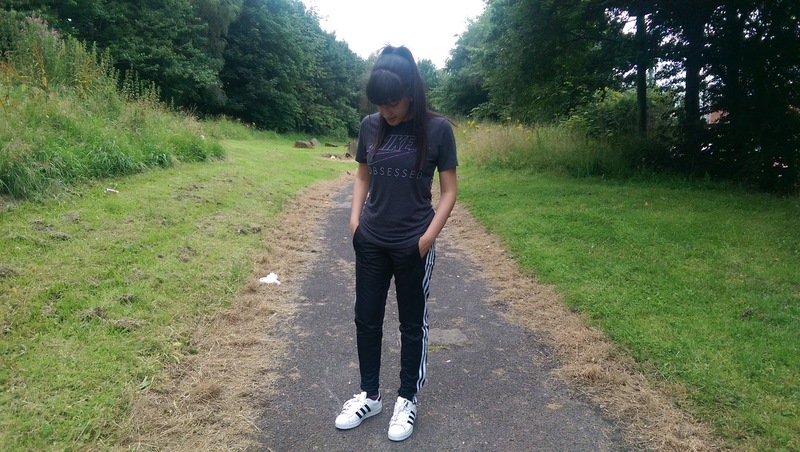 *Monochrome sports wear with Ellesse at JD Sports! As you all know I’m always one for stylish sports clothing. 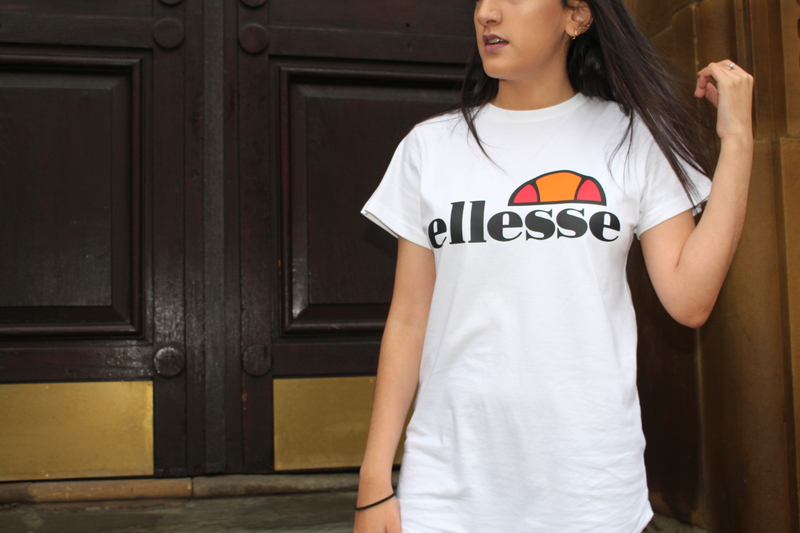 Ellesse’s newest collection has got me falling in love once again. 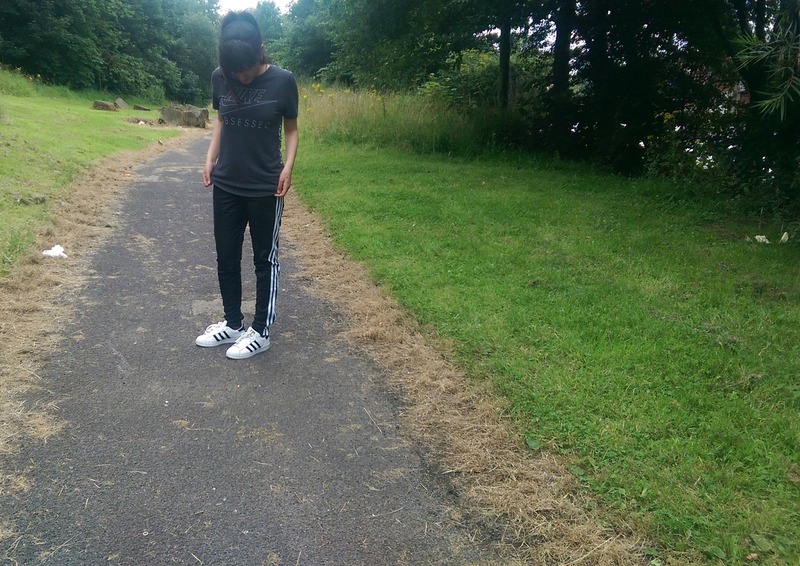 From the diverse range of sports leggings to hoodies and cropped t-shirts and so much more. I’m going to share with you my favourite pieces. You can purchase the collection over at JD Sports in-store and online. 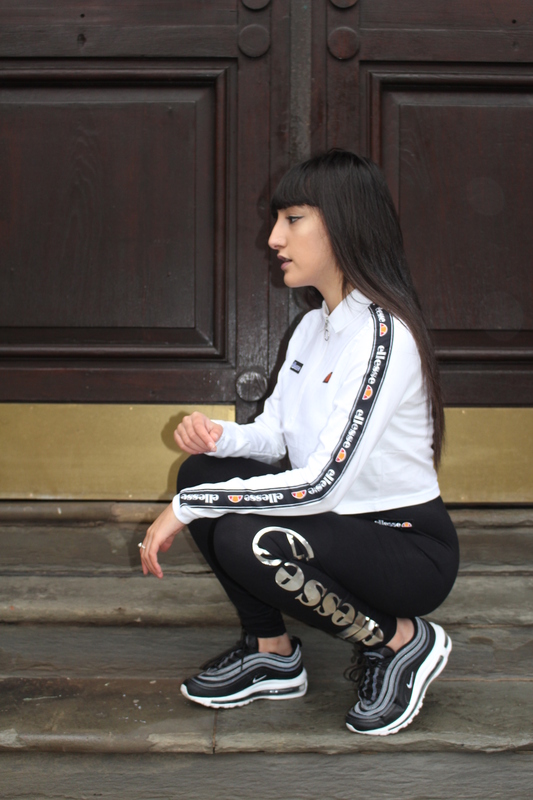 Ellesse Long Sleeve Cropped Polo Top – I’ll start with my all time favourite piece which is the white polo top. I mean I can’t remember the last time I wore a polo t-shirt which makes me love this even more. It has an almost retro vibe which I love and compliments the sports leggings so well. I love it so much I’ll probably wear it with trousers as well as to the gym. 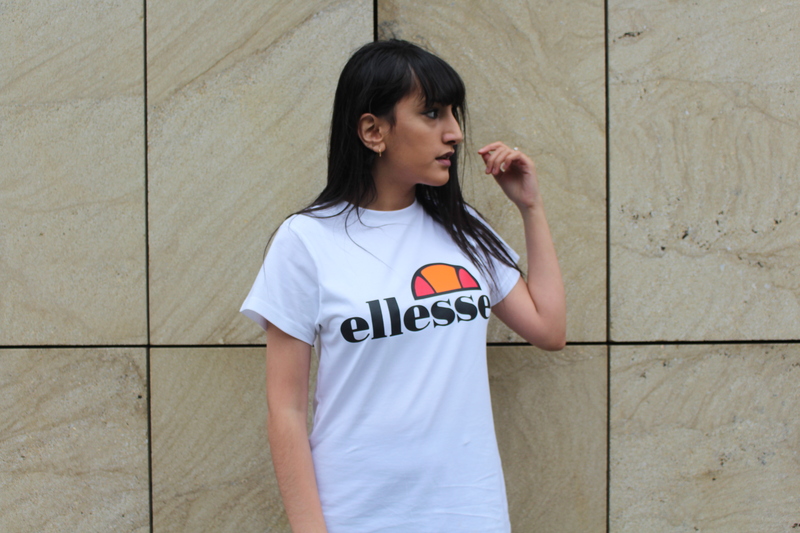 Ellesse Makina Boyfriend T-Shirt – As you know already I love boyfriend t-shirts they’re just so easy to throw on. I love this as it’s a little longer than an average t-shirt so perfect if you prefer not wearing cropped t-shirts to the gym. Also the material is super nice and it’s true to size which I mean you can’t complain. 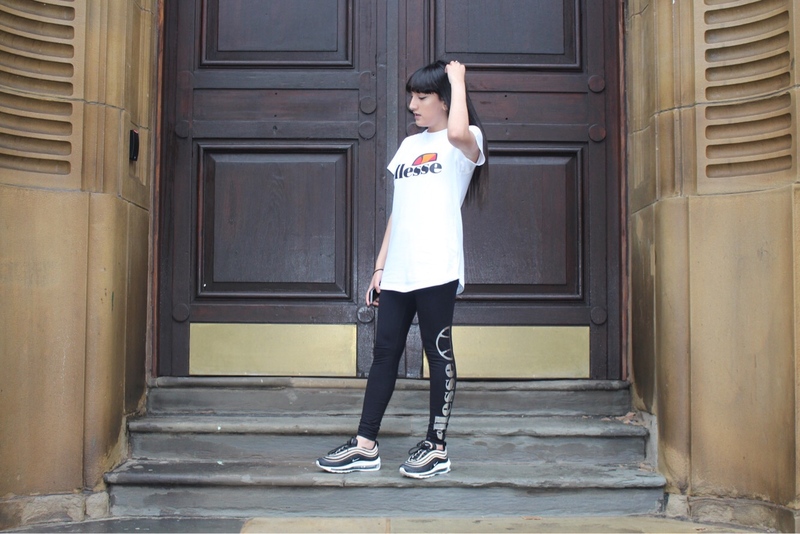 Ellesse Rossi Leggings – Finally, these Ellesse leggings are super comfortable and I’m in love with the foil logo down the leg it just adds something a little more bold to the leggings. They’re super comfy to work out in as well as to lounge around in. My shoes are the Nike Air Max 97s which you can purchase by clicking the link. 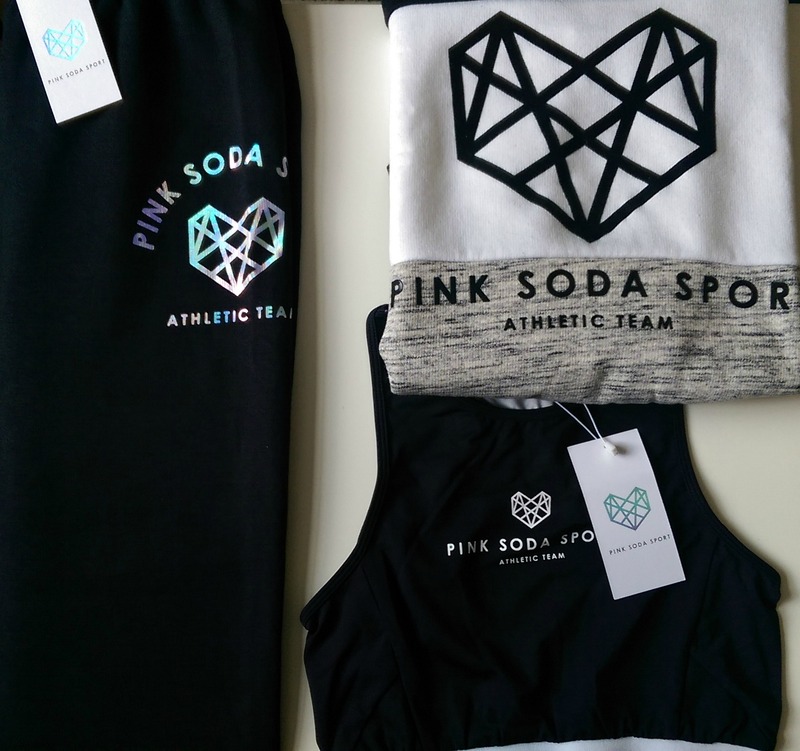 Recently I have been loving getting back into my daily workouts and I couldn’t be anymore motivated especially since receiving the new Pink Soda Sport gym clothing! So I thought I’d share with you one of my favourite workout routines as well as my favourite gym wear to work out in. I love the Brushed Metallic Panel Leggings as they’re high waisted and look so good on. 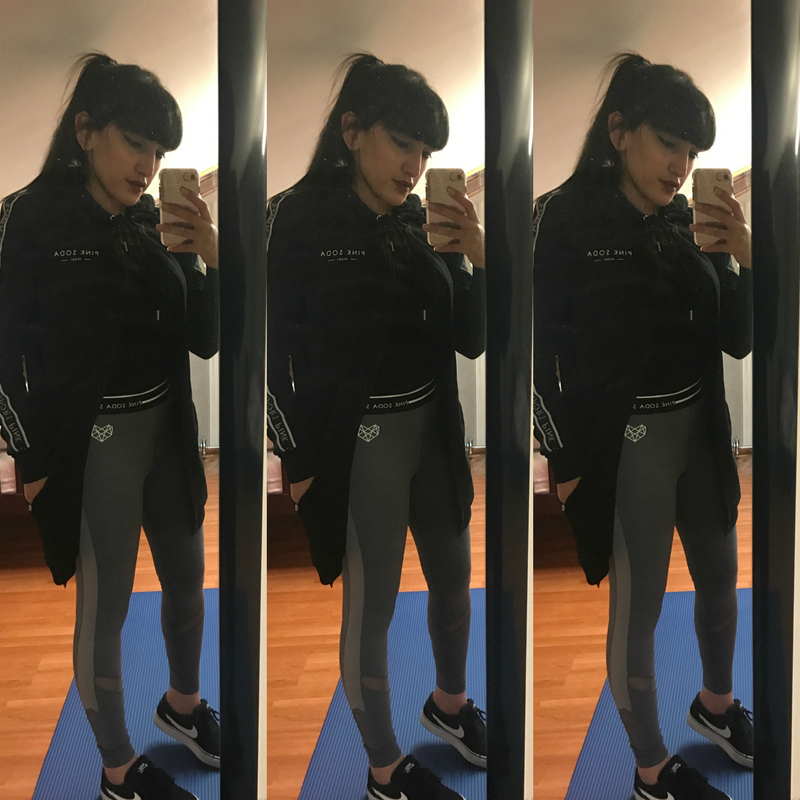 I love having fitness leggings which aren’t just the typical black and the mesh detailing looks so pretty too! They’re so comfortable which is such a bonus. You look good as well as feel good. 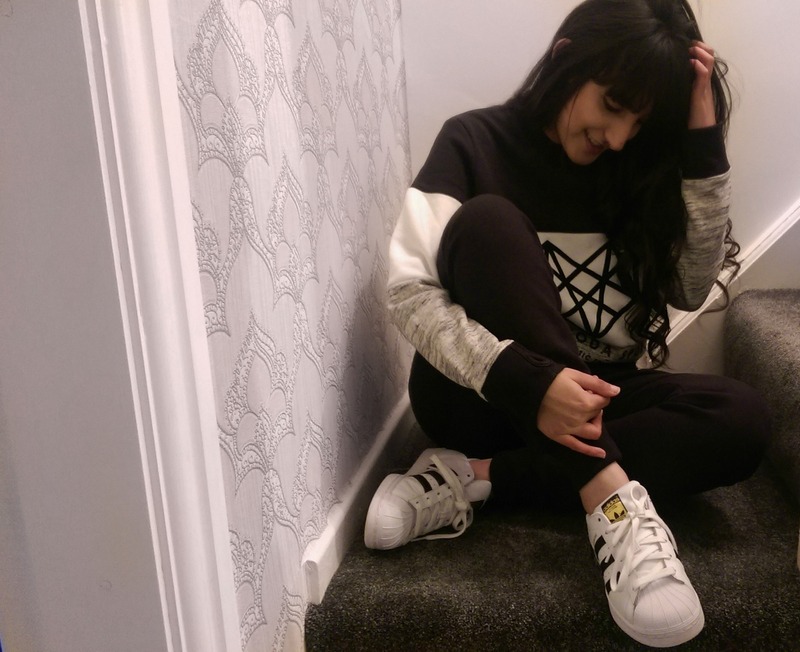 I’ve also been loving the Tape Longline Zip Up Hoodie as its super long which is perfect for when its cold and you need something to throw on and it can mix and match with any of the leggings and sports bras I mean you can’t go wrong with it. Next, onto the workout routine I’ve been loving! Do see the info-graphic below too!! 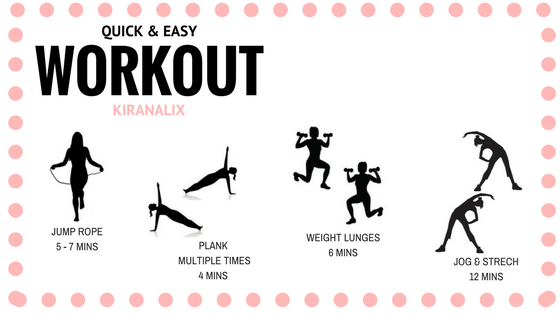 It’s a easy 4 step workout which can be done in under 30 minutes every day to help with your abdominal area and legs. Jump rope // Jumping rope is one of the fastest ways to burn calories as well as it being enjoyable. 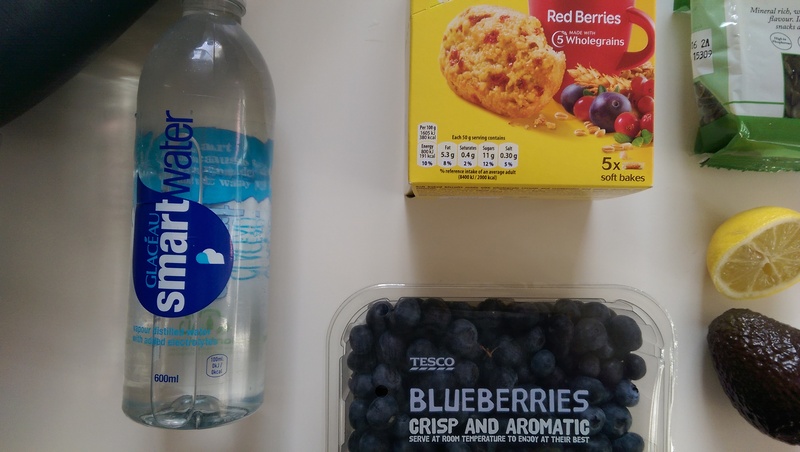 It improves density which is perfect if your wanting to tone as well become more athletic. Plank // The plank is a popular exercise to build your core as it builds your strength to sculpt and tone your waistline and contribute to your posture. Depending on your preference you can try and engage as many parts of your body too. 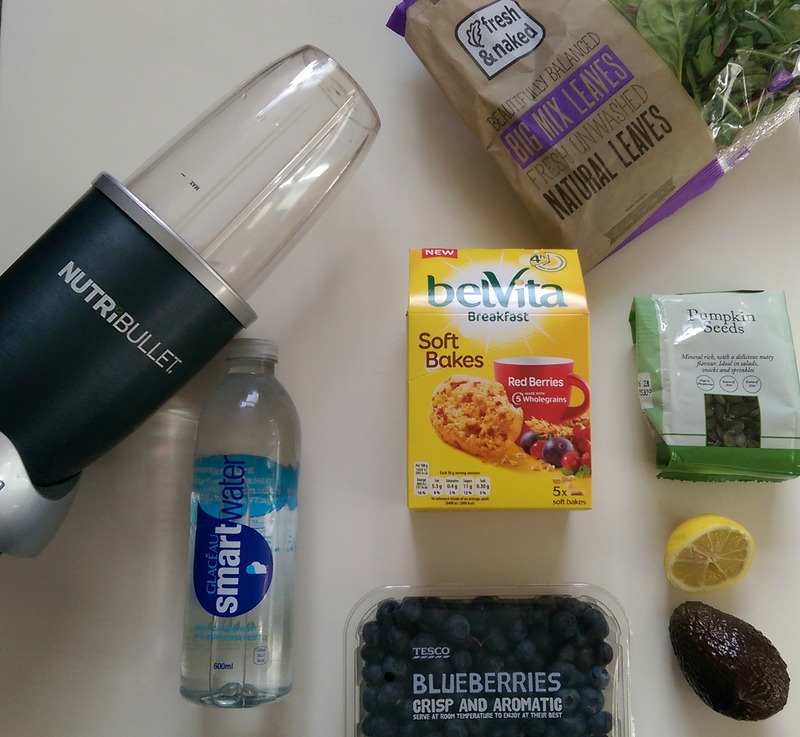 Again this also strengthens muscles and bones. Weight Lunges // Lunges are effective in engaging your glutes and quadriceps. It also strengthens your legs and arm strength with the use of the weights as by doing two things at once your killing two birds with one stone. By also strengthening your upper body and arms. Jog & Stretch // Finally last but not least jogging is a vital exercise as it improves your body’s performance in delivering oxygen efficiently as well as allowing muscle toning for the legs and arms. Stretching is crucial when it comes to workout soo always stretch before and after as they stay strong and flexible instead of short an tight. What’s your favourite workout? Comment below. Yes guys I’m back again with another post, this is one I’ve been very excited about. I got contacted to review some fitness wear and I honestly couldn’t take up a better offer. I love fitness clothing, especially clothing that looks fresh and feels comfy I mean it’s a win win. 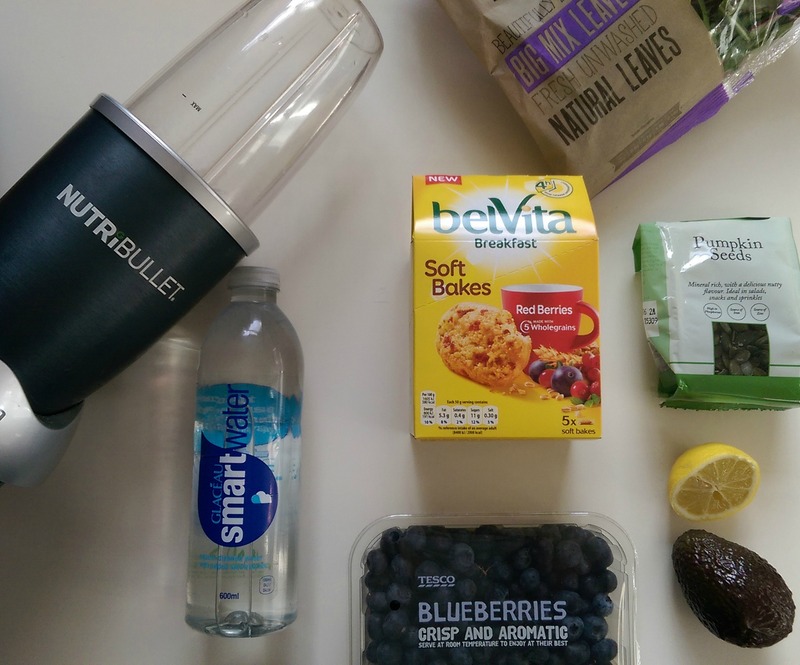 I always wanted to share with you you a couple of tips when staying fit. Whether its working out or going to the gym Get The Label have gym wear and trainers of all brands at affordable prices. 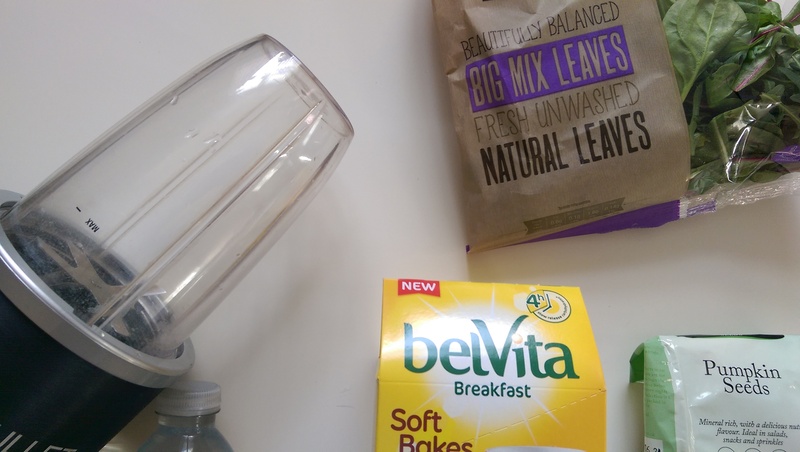 This is great to vary your wardrobe as if your like me and you feel as though you need to look good when working out or when your going for a run Get The Label is where you need to go! 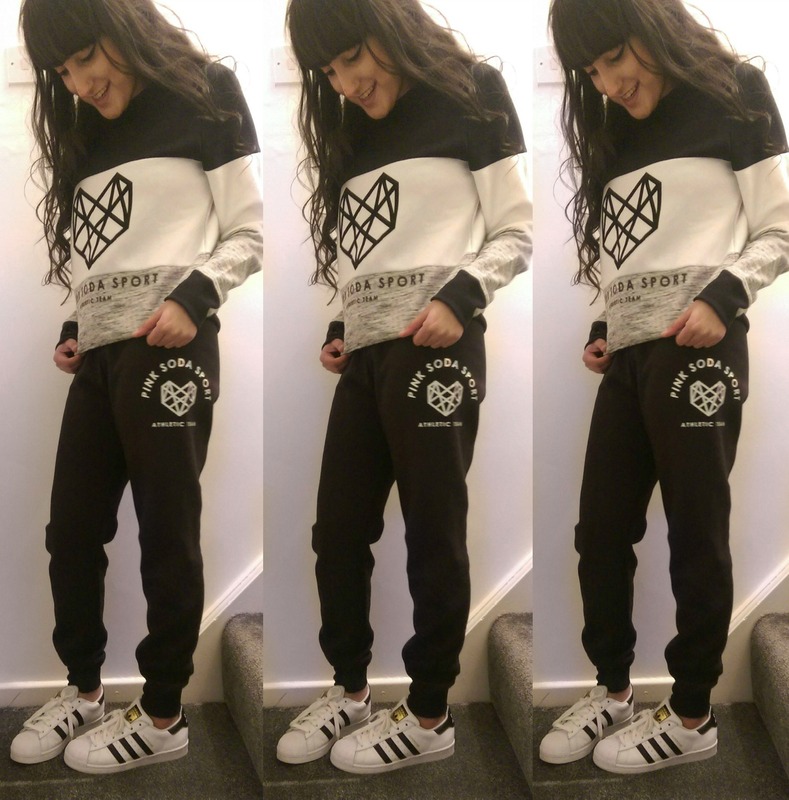 Adidas Originals Superstar Trackpants – Get the label. 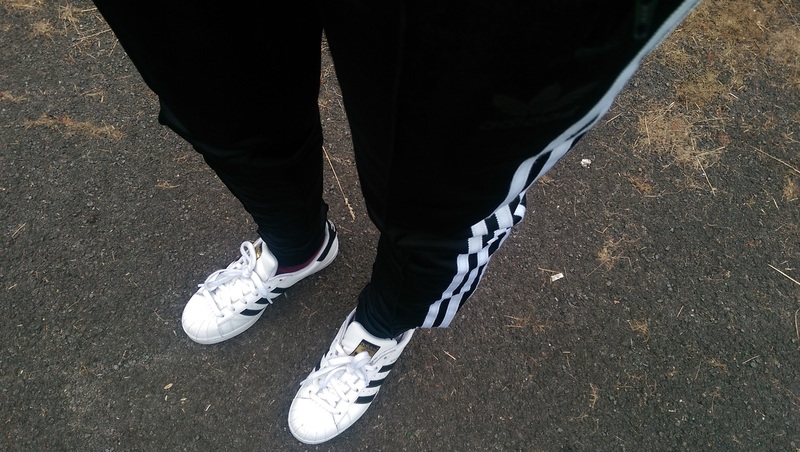 These track pants are lightweight perfect to run and work out in and are slim fit which means they are flattering which I love. I couldn’t be happier with these they’re easy to style with a sports bra or either a t-shirt. 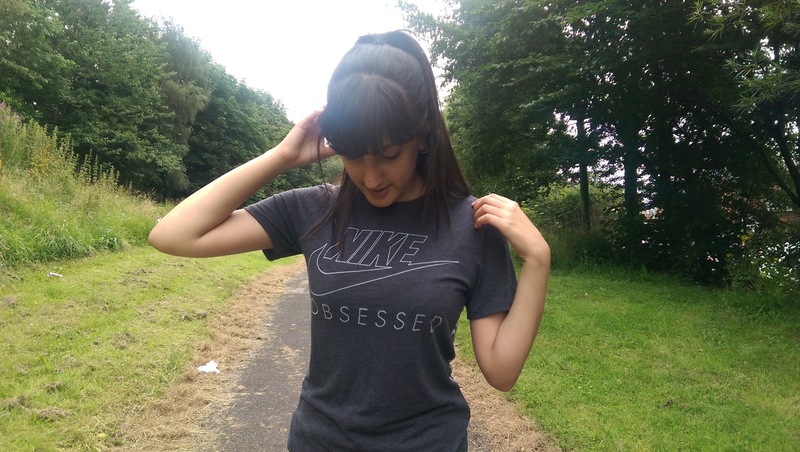 Nike Obsessed T-shirt – Get the label. This t-shirt is super cute and I love the print on the back as well as the style. The colour allows you to easily style it with other sports leggings. Have a clear goal // Visualize what you want to achieve in the time period you have. The clearer the vision you have the better progress you’ll make and want to progress further. Do what YOU want // If your in the gym as cheesy as this sounds use the equipment you wish to use, not jump on the bandwagon and do what others are doing because this is the easiest and best way to stay focused and achieve your goal in the long run. Never do the same work out // Always change the work outs you do change is the best way to move forward, it’s not always about squats and press ups everyday. Get a fitness buddy // Having someone who’s company you enjoy getting fit with you is a good source of motivation as helping each other each step of the way is vital. Run and feel the burn // Running is one of my favourite things to do, changing up your physical activity is great for the body especially and good for the mind spiritually it takes weights of your shoulders and clears stress. 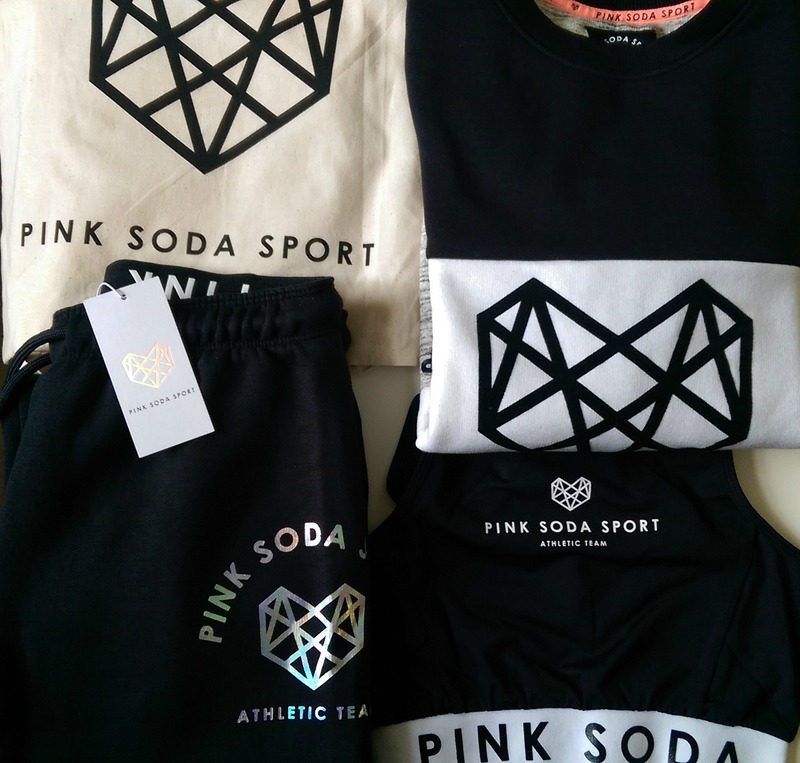 On Thursday a tote bag filled with Pink Soda Sport sportswear was delivered. I couldn’t maintain my excitement. I was super happy!! 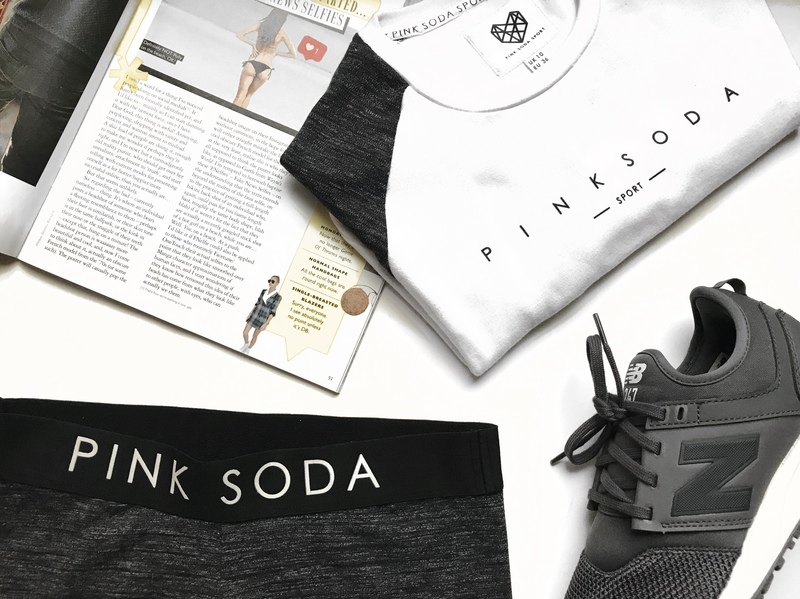 Pink Soda Sport is a brand stocked in JD for women who love to look great when getting active or working out. All the pieces in the collection are so so beautiful but I’m totally in love with the pieces I received. 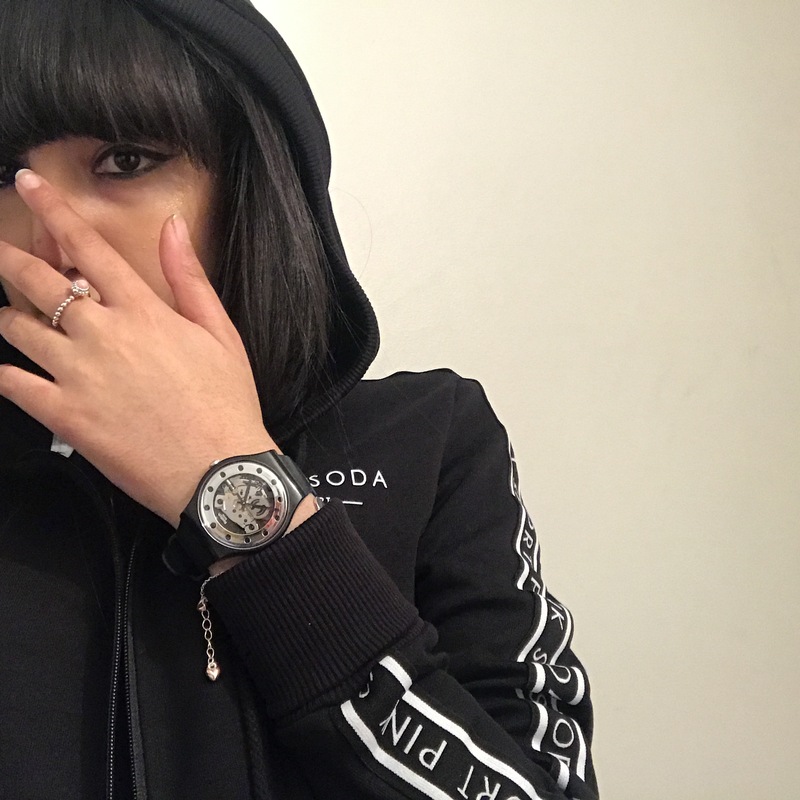 As one of my new years resolutions was to get toned and fit this sportswear is going to get me even more motivated to hit the gym because in this gear you look flawless while working out, its a win win! 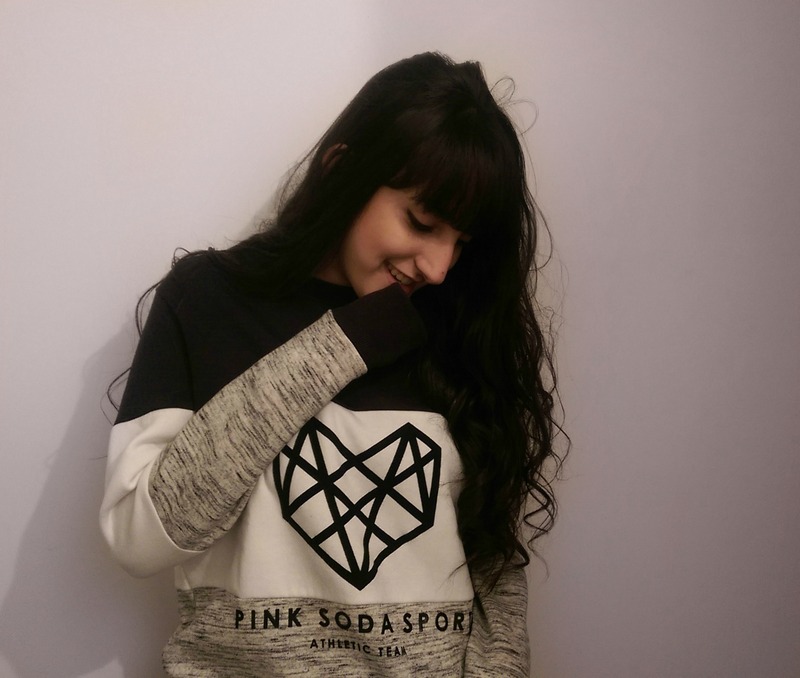 Pink Soda Sport Panel Crew Sweatshirt // The comfort of this is unreal. It’s perfect for wearing over a sports bra then taking off if you feel too warm. Even on its own it’s perfect to work out in and even a cheeky lounge around the house. I know I’m going to be living in mine. Pink Soda Sport Crackle Bra // Why haven’t I got more than one sports bra? They’re the comfiest things around! Seriously if you don’t own one go out and get one they feel amazing and are just so good for working out in! 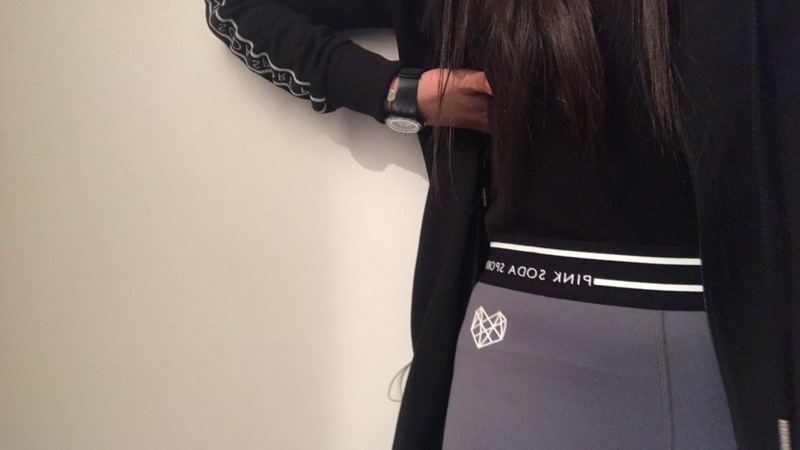 Pink Soda Sport Logo Slim Jogging Pants // Joggers are my favourite thing in life. However, I do find it hard to find ones that are slim fit – but these do the job perfectly. They add that slight feminism to them rather than baggy and loose. So you look the part when working out which I think is such a good thought. I love all the pieces together but I’m certainly sure you could style them with other pieces from the collection! 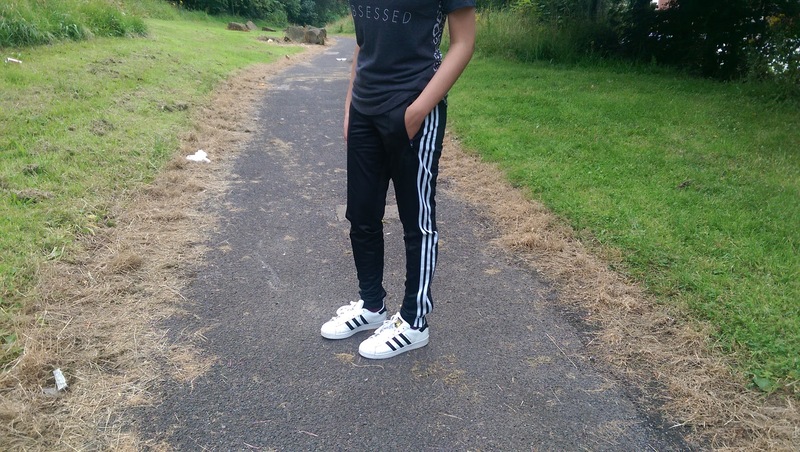 I styled my outfit with my Adidas Originals Superstars which you know how much I love! They compliment each other o well! 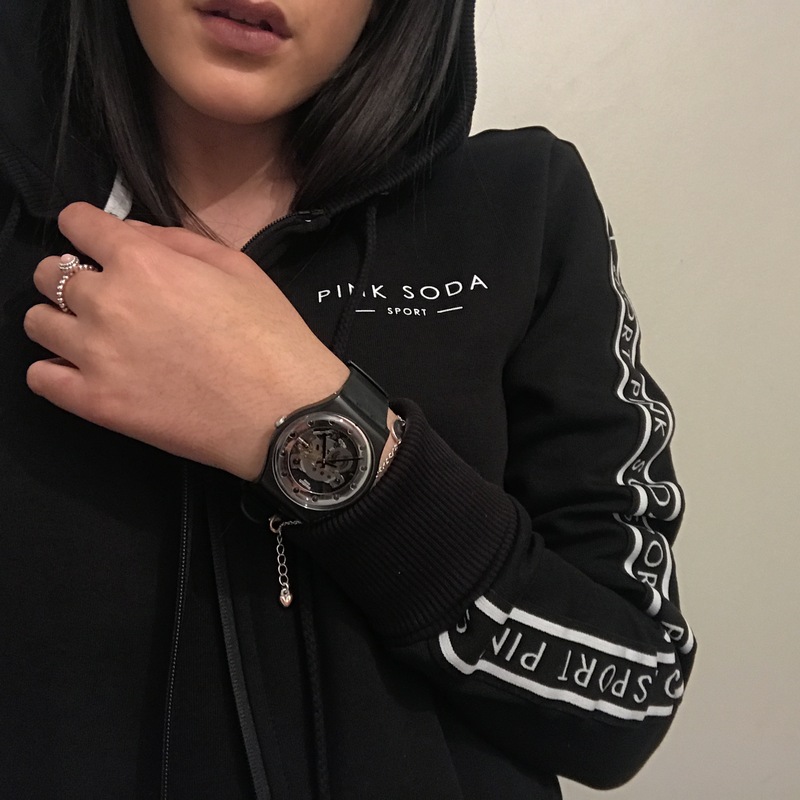 What’s your favourite piece from Pink Soda Sport? Comment below.